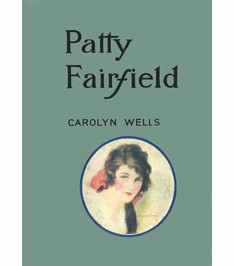 The Patty Fairfield Series by Carolyn Wells is just one of those series that never loses its charm nor its timeliness. Whether it is at the turn of the century from the 19th to the 20th or the 20th to the 21st, girls love Patty Fairfield with her love of people, fun, and merriment! No one throws a party like Patty - even if the main dish is a flop! Patty is the ultimate optimist and finds the positive in the people and experiences that she encounters. Her uplifting spirit is sure to rub off on her readers at every turn in the road!